This rescheduled Challenge Cup 3rd Round tie was played out on a very heavy which had deteriorated from the morning inspection due to some rain/sleet showers. Vale had also decided to rest Hunter and Dawson, with both being listed as Subs. With a good crowd in attendance despite the weather it was obvious from the kick off that today was going to be tough going for both sides. With both sides showing an appetite for a physical battle it was Vale who drew first blood in the 15 min when after a nice move a cross from Smith was knocked home by Sean Stewart. The rest of the first half was played out with both sides evenly matched and both goalkeepers performing well when required. The second half started with Welfare on the offensive and the Vale defence standing firm. For all their early pressure Welfare were not giving any problems to Gilpin in the Vale goal. As the half progressed Vale were beginning to recover their first half composure and had a couple of half chances, whilst at the other end of the pitch Welfare were also struggling to create any clear cut chances. Both teams utilised their full quota of subs during the second half, as the ground conditions were beginning to have an effect on some players. 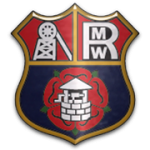 Welfare position deteriorated in the 87 min when their full back Reid pulled Stewart back during a Vale attack and was shown his second yellow card. Taking the pitch conditions into consideration both teams put up a decent show for the fans, and Vale merited the victory which now means a trip to Cumbernauld Colts in the next round. The bad weather coming from the North had only just reached Hawick prior to kick off. Although the pitch looked in reasonable condition there were various bumpy areas throughout. Vale arrived with two of Saturday’s midfield missing, Allan and Raiker, and only two players on the bench. The game got off to the best of starts in the 2 min when Finnie played a great ball through to Liall Smith who control the ball and slotted it past the Hawick goalkeeper to give Vale the lead. However, after some early pressure by Vale, Hawick equalised in the 6 min when some hesitation in the defence allowed a Tully header rebound to be hit home by McFadden. Vale were having the majority of the possession with the Hawick goalkeeper pulling off a couple of good saves from Patterson and Dawson. Hawick were mainly relying on the ball over the top where their pacy forwards were always a danger. Vale’s pressure was rewarded in the 45 min when a deflected ball fell to Stewart who on the second attempt scored to restore Vale’s lead. The second half commenced with Vale totally in command and only a batch of missed chances in the first 15 minutes stopped them putting the game to bed. After a lull in the play Vale went further ahead in the 65 min when after a short corner a McBride cross to the back post was headed home by Lynch. The game was finished in the 75 min when after some neat passing movements down the right wing Stewart was upended when he cut into the box. Patterson scored from the penalty kick. With Vale having use their two substitutes, one of them, Jonny Scott-Mercer, twisted his knee leaving Vale to play the last 10 minutes with 10 men. Another good effort from the team, no failures tonight, keep it going boys. 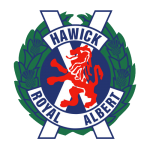 A loss or draw would mean relegation for Hawick, but more importantly a win for Vale would help to ease relegation worries. The pitch for todays game was not the best being a bit heavy with some bumpy areas due to the scarifying of the pitch midweek. Vale were again handicapped with Ross Brady missing due to the injury he picked up on Wednesday. 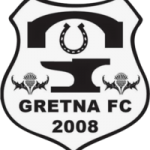 The game commenced with both sides intent on attack and Gretna were rewarded in the 12 min when after a melee in the Vale box, Pearson slotted home the opener for Gretna. Gretna were now in the ascendancy with Vale struggled to contain them. However, as the half progressed Vale started to take the upper hand and were rewarded 39 min when a good move down the right wing was converted by Sean Stewart. The first half closed with Vale on top. The second started with Vale on top with Gretna restricted to breakaways. Vale should have taken the lead in the 60 min when a Cameron Dawson header was net bound only for the Gretna goalkeeper Jamieson, to pull of an excellent save. Two minutes later Dawson nearly scored, when after some nice footwork in the box his shot beat Jamieson only to come back of the post before it was cleared by the Gretna defence. Vale pressure was finally rewarded in the 73 min when after a great four man move down the right Liall Smith was at the back post to give Vale the lead. 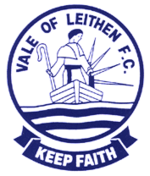 With Vale chasing a third goal to finish the game, Gretna were awarded a free kick on their left wing, and from the resultant kick a ball was not cleared in the box and a lob from Hunter beat Gilpin for the equaliser. A good performance from the whole team, who deserved to be on the winning side today.